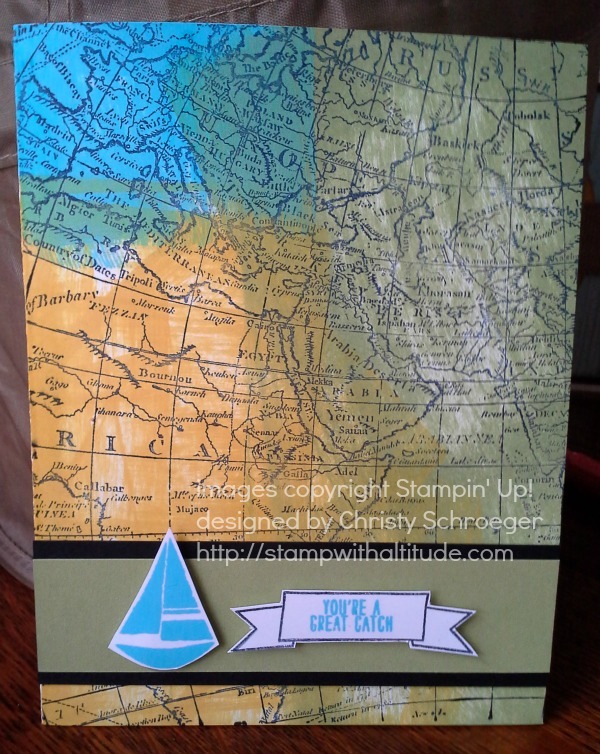 World Map Card | Stampers With Altitude!!! Hi! Yes, this is another card from my stamping frenzy. This one is also super fast. It uses a technique of what I call (and it may be called) ink pad to paper. Basically, you wipe the ink pad directly on the paper to create a background. Then I just stamped the World Map right on top. Easy Peasy! 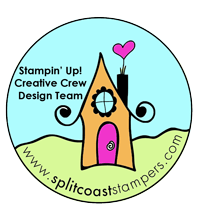 Then, I used the Settin’ Sail Photopolymer Stamp set. I LOVE the Photopolymer Stamp sets… ALL OF THEM!